Sister Status in Hindi - Sister Status in English: We Have Collected The Best Collection For You. So That You Don't Need To Surf All The Internet For The Same. 1. The mildest, drowsiest sister has been known to turn tiger if her sibling is in trouble. 2. Sister – God’s Best Gift for all brothers. 3. Sister is probably the most competitive relationship within the family, but once the sisters are grown, it becomes the strongest relationship. 4. You keep your past by having sisters. As you get older, they're the only ones who don't get bored if you talk about your memories. 5. A loyal sister is worth a thousand friends. 6. The best thing about having a sister was that I always had a friend. 7. Bless you, my darling, and remember you are always in the heart, oh tucked so close there is no chance of escape of your sister. 8. Sisterhood and brotherhood is a condition people have to work at. 9. Brothers and sisters are as close as hands and feet. 10. I love my sister because she cares me. 11. You can kid the world, but not your sister. 12. We may look old and wise to the outside world. But to each other, we are still in junior school. 13. You keep your past by having sisters. As you get older, they are the only ones who don’t get bored if you talk about your memories. 14. Sisters function as safety nets in a chaotic world simply by being there for each other. 15. Sisters are different flowers from the same garden. 16. Having a sister is like having a best friend you can’t get rid of. You know whatever you do, they’ll still be there. 17. You aren't just my Best Friend. You are my sister and I love you to freaking death. I don't know what I would do without you. 18. What sets sisters apart from brothers and also from friends is a very intimate meshing of heart, soul and the mystical cords of memory. 19. It's hard to be responsible, adult and sensible all the time. How good it is to have a sister whose heart is as young as your own. 20. Of two sisters one is always the watcher, one the dancer. 21. Sisters function as safety nets in a chaotic world simply by being there for each other. 22. Having a sister is like having a best friend for life. 23. Sisters don’t need words. They have perfected a language of snarls and smiles and frowns and winks expressions of shocked surprise and incredulity and disbelief. 24. Is solace anywhere more comforting than in the arms of a sister? 25. A sister is a forever friend. 26. My sister and I are so close that we finish each other’s sentences and often wonder whose memories belong to whom. 27. We have the sister sayings that will make you nod in agreement about how annoying sisters can be. 28. Big sisters are the crab grass in the lawn of life. 29. A true sister is a friend who listens with her heart. 30. Because I have a sister I will always have a friend. 31. My sister has been there for me through everything. 32. Is solace anywhere more comforting than in the arms of a sister? 33. Between sisters, often, the child’s cry never dies down. Never leave me, it says; do not abandon me. 34. More than Santa Claus, your sister knows when you've been bad and good. 35. A sister is someone who is there and understands who you. 36. Your sister is your teacher, your defence attorney, your personal press agent, even your shrink. Some days, she’s the reason you wish you were an only child. 37. A sister can be seen as someone who is both ourselves and very much not ourselves, a special kind of double. 38. To have a loving relationship with a sister is not simply to have a buddy or a confident, it is to have a soul mate for life. 39. What's the good of news if you haven't a sister to share it? 40. Brothers and sisters are as close as hands and feet. 41. Your parents leave you too soon and your kids and spouse come along late, but your siblings know you when you are in your most inchoate form. 42. 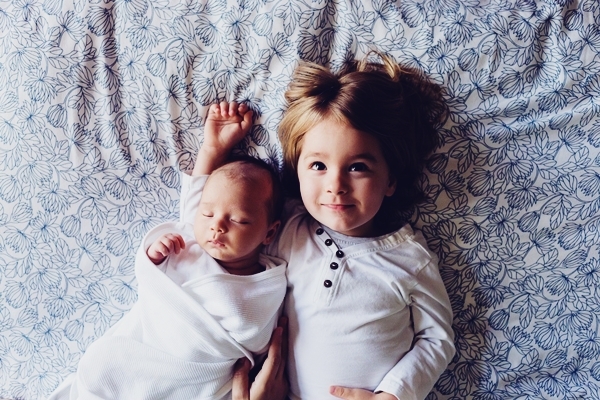 The first-born in every family is always dreaming for an imaginary older brother or sister who will look out for them. 43. She’ll go and fall in love, and there’s an end of peace and fun, and because times together. 44. When sisters stand shoulder to shoulder, who stands a chance against us? 45. A sister is a gift to the heart, a friend to the spirit, a golden thread to the meaning of life. 46. Having lots of siblings is like having built-in best friends. 47. A sister is both your mirror and your opposite. 48. Siblings are the people we practice on, the people who teach us about fairness and cooperation and kindness and caring, quite often the hard way. 49. In the cookies of life, sisters are the chocolate chips. 50. I would like more sisters, that the taking out of one, might not leave such stillness. 51. Siblings that say they never fight are most definitely hiding something. 52. A sister smiles when one tells one’s stories for she knows where the decoration has been added. 53. Sweet is the voice of a sister in the season of sorrow. 54. We have the sister sayings that will make you nod in agreement about how annoying sisters can be! 55. It’s hard to be responsible, adult and sensible all the time. How good it is to have a sister whose heart is as young as your own. 56. There can be no situation in life in which the conversation of my dear sister will not administer some comfort to me. 57. To have a loving relationship with a sister is not merely to have a buddy or a confident, it is to have a soul mate for life. 58. We may look old and wise to the outside world. But to each other, we are still in junior school. 59. You may be as different as the sun and the moon, but the same blood flows through both your hearts. You need her, as she needs you. 60. In thee my soul shall own combined the sister and the friend. 61. Sweet, crazy conversations full of half sentences, daydreams and misunderstandings more thrilling than understanding could ever be. 62. Sisters never quite forgive each other for what happened when they were five. 63. I would like more sisters, that the taking out of one, might not leave such stillness. 64. Brothers and sisters separated by distance, joined by love. 65. Friends are fake, best friends are only for a while, and but sisters are forever and real. 66. Because angels are sometimes busy elsewhere, God created sisters like you. 67. When sisters stand shoulder to shoulder, who stands a chance against us? 68. Help one another, is part of the religion of sisterhood. 69. I love the fact that my best friend just so happens to be my only biological sibling, my sister. 70. Our path may change as life goes along, but the bond between us remains ever strong. I miss you my sister. 71. Sisters – sweet, crazy conversations full of half sentences, daydreams and misunderstanding could ever be. 72. Sisterly love is, of all sentiments, the most abstract. Nature does not grant it any functions. 73. One of the best things about being an adult is the realization that you can share with your sister and still have plenty for yourself. 74. Sorry, I can't hangout. My uncle's cousin's sister in law's best friend's insurance agent's roommate's pet goldfish died. Maybe next time. 75. People come and go, friends change like the weather but I know my sister is here forever. I love you. 76. At this point, none of us are sure why we fight. We’re sisters. We need no good reason to fight, even though we have plenty of them. 77. Our brothers and sisters are there with us from the dawn of our personal stories to the inevitable dusk. 78. Rakhi is a perfect time to tell you just how special you are and how much you mean to me! Wish you all the peace, prosperity and success on this Raksha Bandhan. 79. My sister is the sweetest little thing alive, words can hardly describe my love for her, and she is my best friend. 80. Having my sister around can make the difference between heaven and hell. 81. Sisters are friends we have for a lifetime. 82. What’s the good of news if you haven’t a sister to share it? 83. A sister is a little bit of childhood that can never be lost. 84. Sister and friend two words that mean the same. 85. Good thing about having an older sister is to help you with the subjects you are weak in. 86. Nobody fights you like your own sister; anyone else knows the most vulnerable parts of you and will aim for them without mercy. 87. If your sister is in a tearing hurry to go out and cannot catch your eye, she’s wearing your best sweater. 88. As I grew up, one of my strongest allies has been my sister. 89. A sister is for telling secrets and making promises that will never be broken. 90. A sister smiles when one tells one's stories, for she knows where the decoration has been added. 91. An older sister is a friend and defender, a listener, conspirator, a counsellor and a sharer of delights. And sorrows too. 92. I, who have no sisters or brothers, look with some degree of innocent envy on those who may be said to be born to friends. 93. How do people make it through life without a sister? 94. Because angels are sometimes busy elsewhere, God created sisters like you. 95. A sister can be seen as someone who is both ourselves and very much not ourselves, a special kind of double. 96. We acquire friends and we make enemies, but our sisters come with the territory. 97. A sister is a gift to the heart, a friend to the spirit, a golden thread to the meaning of life. 98. There’s nobody in the world that knows me better than my sister. 99. Sister and best friend, two words that mean the same. 100. I would like more sisters, that the taking out of one, might not leave such stillness. Related Tags:Sister Status for Whatsapp in English | Sister Whatsapp Status, Whatsapp Status for Sister, Status for Sister, Sister Love Status, Status on Sister.